Leschi's waterfront views of Lake Washington and proximity to the I-90 bridge have made it a hot spot for commuters to the east side and downtown. It acquired a more architecturally and demographically diverse character in the 50s and 60s. The family-owned Leschi Market was established at that time and is still a favorite spot for picnickers and oenophiles, who have discovered its excellent selection of local and imported wines. When one climbs uphill toward the Central District from the water, one finds that Leschi's winding roads sometimes intersect with wooded nature trails, frequented by local runners and hikers. Cyclists, meanwhile, enjoy riding along Lakeside Drive, which (as it merges with Lake Washington Boulevard) connects Leschi to other neighborhoods, including Madrona and Madison Park to the north, and to the south Mount Baker. During rush hour, it's a popular path for commuters who want to avoid stoplights, but during the day it is a quiet path, with a string of eateries popular among Leschi residents and the lively crowds that make Leschi a destination in the summer months. 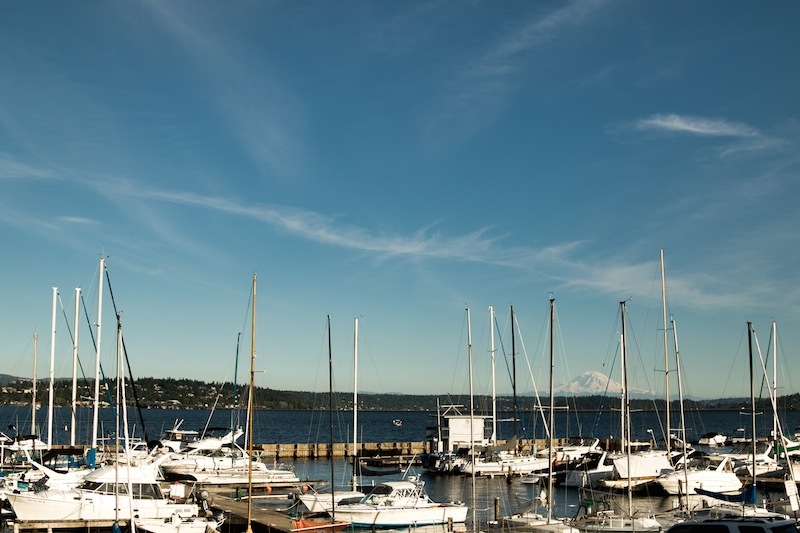 Leschi doesn't have much in the way of retail and services, but adjacent neighborhoods do and the scenic roads make it easy and pleasant to reach what you need. Leschi Market: Long time family-owned deli and grocer with a renowned wine selection adjacent to Leschi Park. Hi-Spot Cafe (Madrona): A charming house converted into a breakfast and lunch hangout, serving eggs all day, plus other fare. Leschi Park: Almost 20 acres of rolling lawns, groves and rose gardens with paths connecting to Frink Park. Daniel's Broiler: A steakhouse with stunning views, an award-winning wine list and great service. Blu Water Bistro: A spacious sports bar and grill with comfy seating, a full bar, American-style dining and water views.